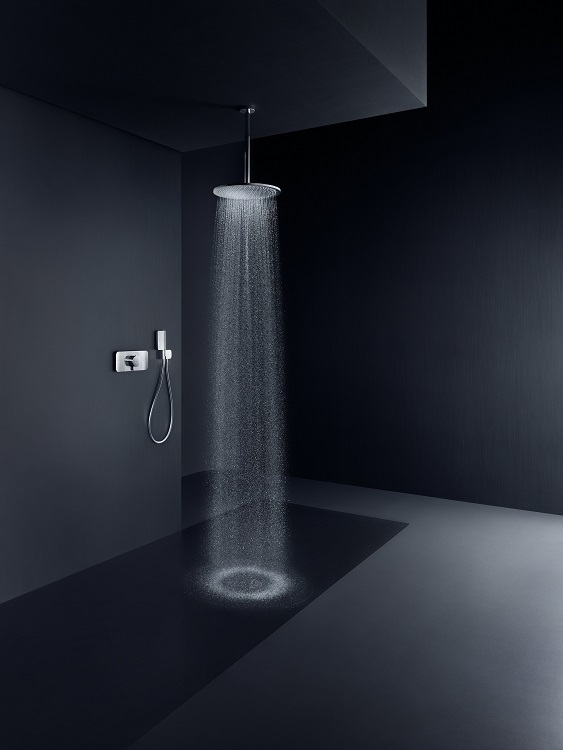 The new AXOR showers combine purist design with an unsurpassed showering experience. 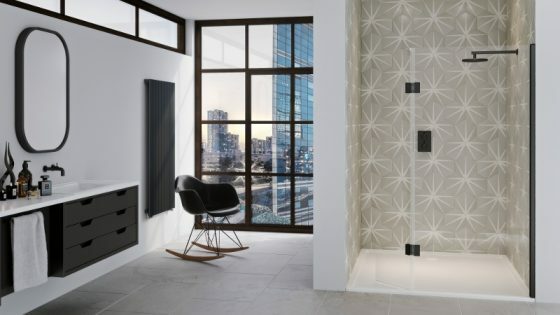 The circular AXOR 350 overhead shower, the AXOR ShowerPipe 800 with its matching AXOR thermostat 800; the rectangular AXOR 250 / 580 and 460 / 300 overhead showers, and the AXOR Select thermostat module, were all created in collaboration with the Stuttgart-based Phoenix Design. The AXOR 350 1jet captivates through its consistent purist design language. 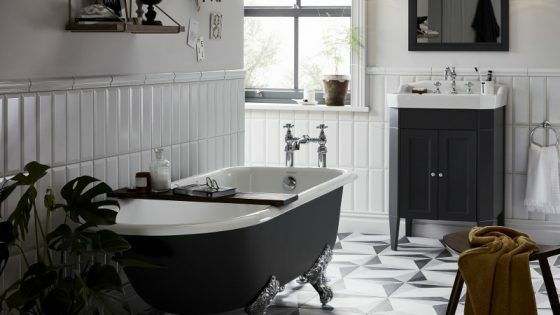 Its imposing circular design captures the bathroom space majestically. The finely milled and turned edges of the high-quality metal plate are its defining stylistic feature, reflecting superb craftsmanship. The new AXOR ShowerPipe 800 shower system includes the AXOR thermostat mixer 800 with large mirror glass shelf and hand shower plus the AXOR 350 overhead shower. An extravagant system of water channels in a purist pipe design culminates in a revolutionary new spray type: PowderRain – this gently envelops the skin like a silky rain shower and delivers a luxurious showering experience. AXOR offers a choice 15 special surface finishes for added radiance. Distinctive: the rectangle is the defining shape – for the overhead shower, the wall and ceiling plates, and even the thermostat module. Crafted from high-quality metal, the spray plate maintains a range of spray types: a gush spray for a gentle neck massage, a focused and powerful mono spray or a voluptuous rain spray. The detachable metal plate is easy to clean and is available in 15 special surface finishes. Its functional counterpart is the AXOR thermostat module. Its integrated, seamless design and continuous surface blends elegantly with any bathroom. Inspired by ripples on an endless surface of water, the Select buttons allow users to precisely switch between jet types and showerheads – innovation at the touch of a button. “AXOR showers create a space for appreciation: their design, material and the way they set the stage for the precious element of water give the shower space a flawless appearance. 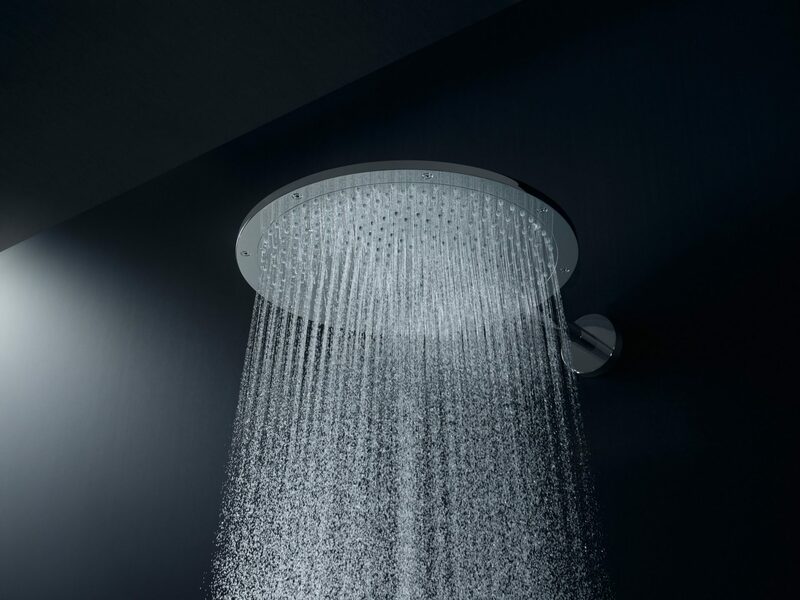 Each individual product, from the exclusive AXOR ShowerHeaven 1200 and AXOR 350 overhead shower with PowderRain, to the amply proportioned buttons on the AXOR Select thermostat module, reflects this respect. 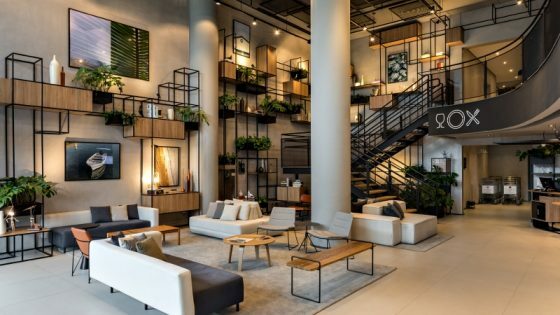 Products like these are the result of our uncompromising pursuit of perfection when it comes to design, craftsmanship and functionality,” explains Silke Giessler, Head of AXOR Brand Marketing. 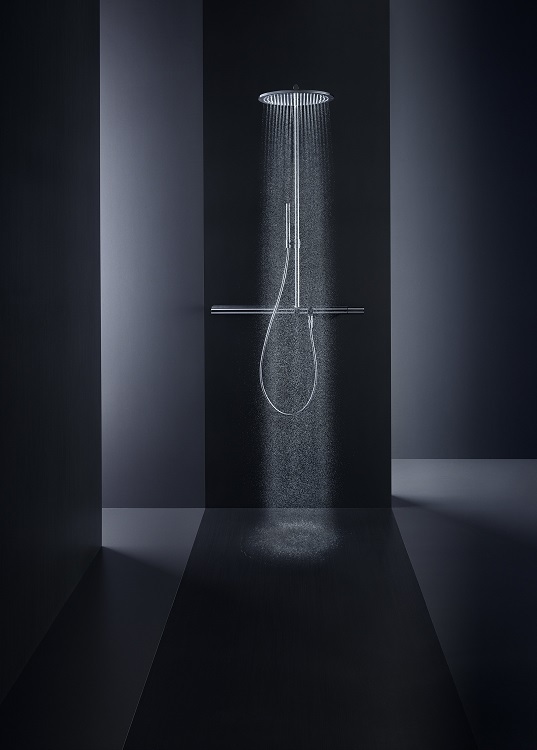 The new AXOR showers were premiered at ISH 2017 in Frankfurt and can be viewed at The Water Studio, Clerkenwell, London.